Stitching wallets for a wedding party! This leather money clip wallet is light, compact, and is meant to be carried in your front pocket. It easily holds up to 7 credit cards and drivers license. Superb! I ordered one of these in black and it exceeded my expectations. Excellent craftsmanship and the process was super simple. My husband loved it, Thank you so much! Ordered for Husbands anniversary gift. He loves it!! 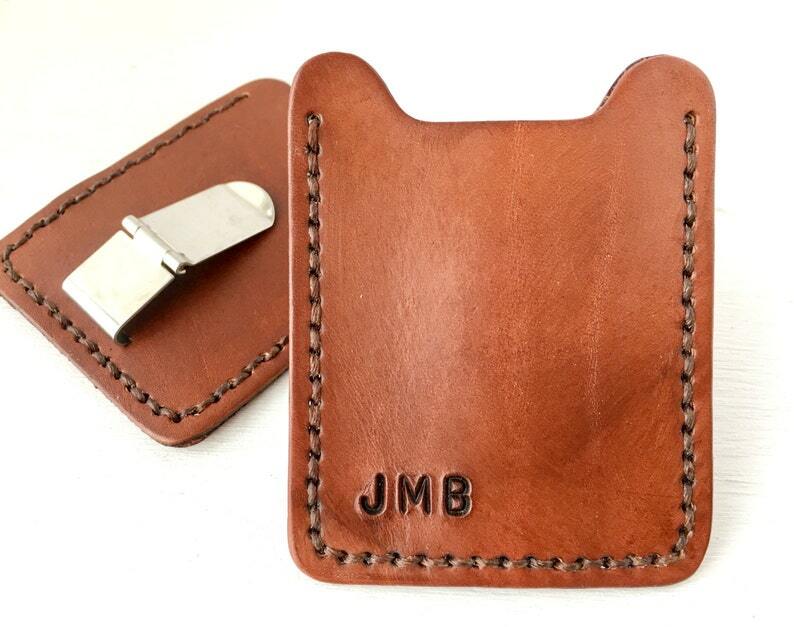 Great quality and the initials are the perfect personal touch. This will be a great gift for the best man for our wedding.